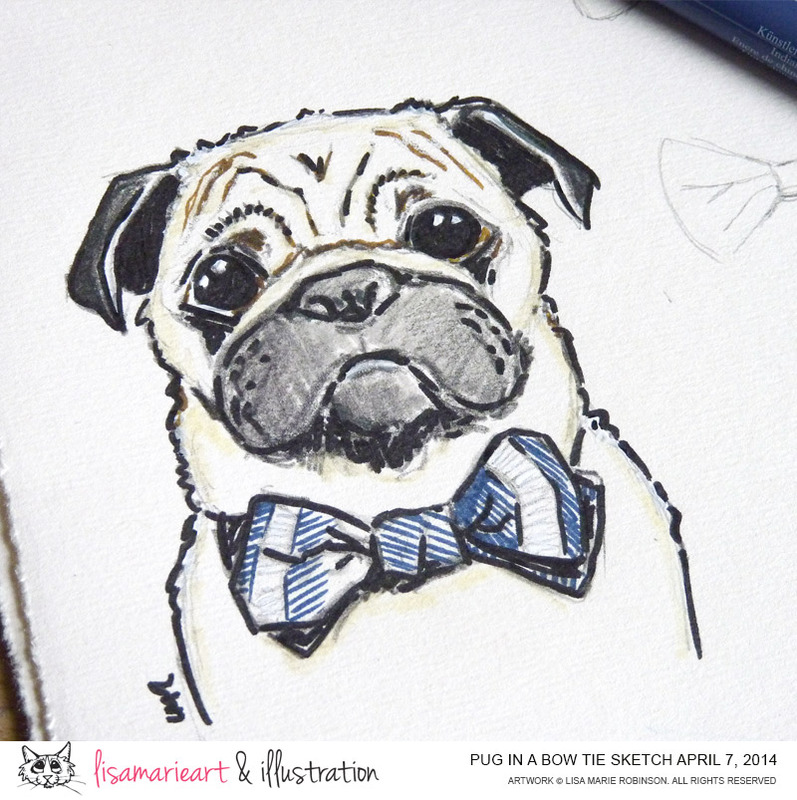 Pug Sketch: Bow Ties are Cool! You may or may not know that I’m a little bit of a Whovian. Loved the Matt Smith reincarnation, although I’m yet to pass judgement on Peter Capaldi, and I especially loved the fact that Doctor Who made it okay to admit that bow ties are cool. Fezzes are cool too but for now we’ll just stick to bow ties. 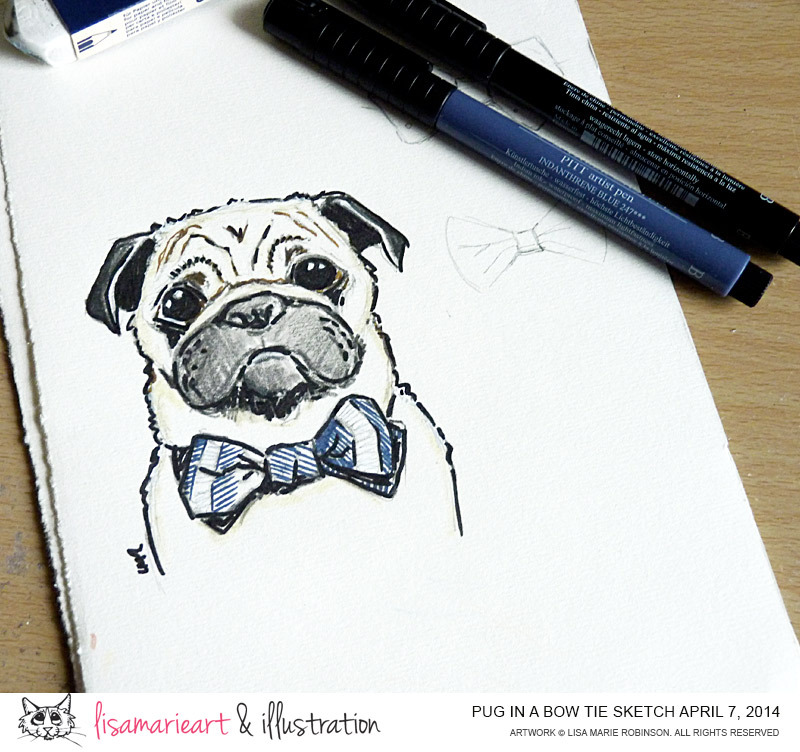 It’s been a while since I’ve sketched anything so in honour of the Eleventh Doctor and his ‘cool’ dress sense I drew this pug wearing a bow tie. Archibald (as he’s now called) looks fetching in his bow tie and while I was sketching him he gave me an idea for a short series of paintings featuring dogs wearing bow ties. I might create a few ACEOs but the main series will probably be 6″ x 4″ painted in either gouache or acrylics. Actually, I might see if I can find some gouache illustration board when I’m in Newcastle later this week. Haven’t used gouache for a while and I rather fancy a change. Naughty Tabby Cat ACEO: One Down One to Go!